Masked horror metal frontrunners TERROR UNIVERSAL - featuring current and former members of Machine Head, Soulfly, Upon A Burning Body and Ill Nino - are thrilled to announce their signing with Minus Head Records, home to buzzing metal and alternative artists All Hail The Yeti, Death Valley High, Incite and Kill the Precedent.Furthermore, the band will release their upcoming debut full-length album, entitled Make Them Bleed, on Oct. 13 via Minus Head. More album details are set to be announced soon, but you can pre-order the album right now via Bandcamp. "It is both an honor and a pleasure to sign with Minus Head Records," TERROR UNIVERSAL drummer Massacre said. "Label owner and CEO Brad Hardie has a strong passion for heavy metal and understands the elements needed to break a band like TERROR UNIVERSAL in the marketplace. It is very seldom in this industry that a label cares that much about their bands. We are ready, and we are here to dominate." 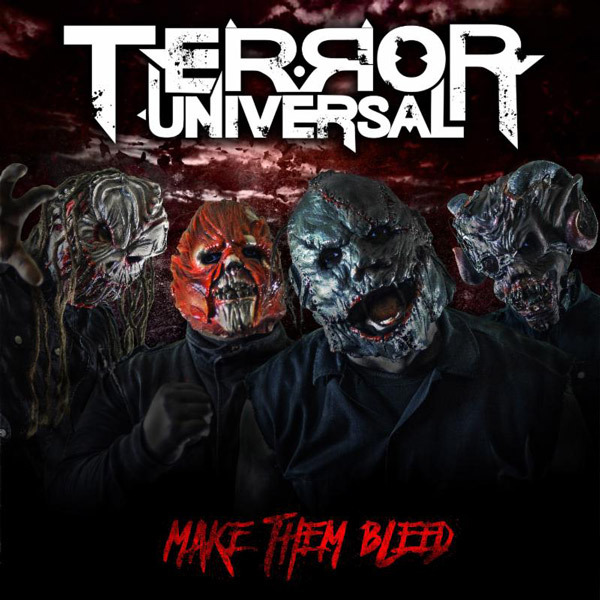 Minus Head Records owner and CEO Brad Hardie said, "Very excited to add TERROR UNIVERSAL to the roster. Their combination of metal with horror lyrics and imagery is exactly the kind of thing we look for. Can't wait to unleash this beast of a record." 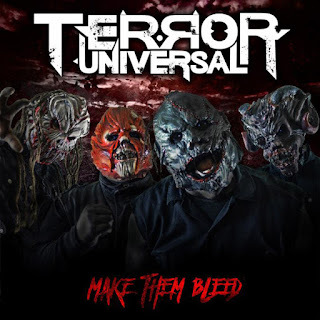 TERROR UNIVERSAL are no strangers to being on the road, as they have shared many stages with international acts such as Korn, Asking Alexandria, Hellyeah, Papa Roachand Fear Factory. The band is on tour right now in the states with rotating openers and labelmates Incite. See below for all remaining confirmed tour dates. Terror is coming your way. Stay tuned for more details on the album, plus track and video reveals, coming soon.